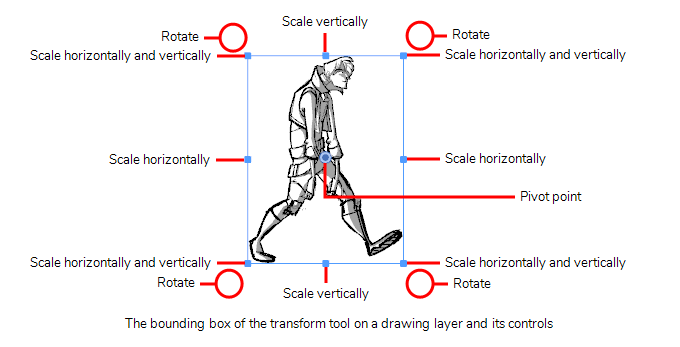 Using the Layer Transform tool, you can re-position, rotate and scale one or several drawing layers. Contrary to the Select tool, which can do the same thing to a selection of artwork, the Layer Transform tool has no permanent effect on your artwork. You can reset transformations done with the Layer Transform tool. 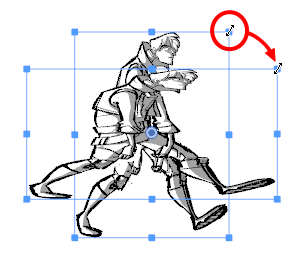 The Layer Transform tool is also essential in animating layers. 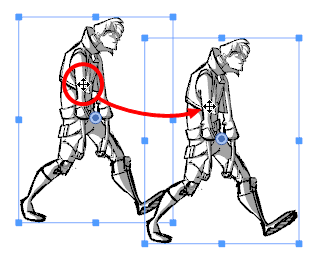 If your layer has animation keyframes, transformations done with the Transform tool will be animated, whereas those done with the select tool will always apply to the whole panel—see Animating Layers. In the Thumbnails or Timeline view, select the panel with the layer you want to transform. 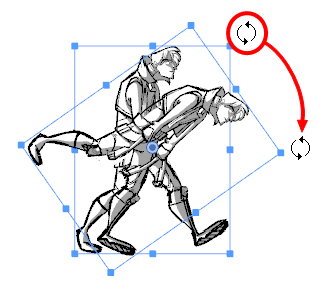 In the Layer Panel of the Stage or Camera view or in the Layers view, select the layer you want to transform.